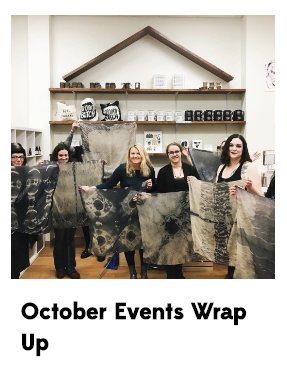 HausWitch has a monthly event calendar so packed it's hard to imagine a night without stopping by for a spell or craft. But not everyone will hop over to an event without knowing a little about it first. And with a community page in need of a little more 'community' these posts are a great way to build brand equity on a regular basis and connect with both event goers and those witches a little too far away to make it to every event. Paired with interviews and community posts, this thriving local community starts to expand into the online world.